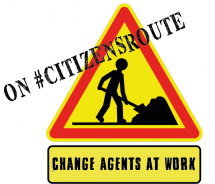 Call for volunteers #CitizensRoute: The 2019 European election campaign starts NOW! BE A PART OF IT! You are an event programmer king! You look to serve Europe and other Europeans! You are a youtuber, blogger, a social media addict, or a journalist… You like to set up strategies… YOU CAN HELP! The 2019 European election campaign starts NOW! BE A PART OF IT! Did you ever think about how we could create a more democratic and accessible European Union? Do you think about how we can shift the focus of politics away from the national level, and a bit more towards the European level? You don’t? Really? Come and join us, let’s explore the potentialities of a common democracy! 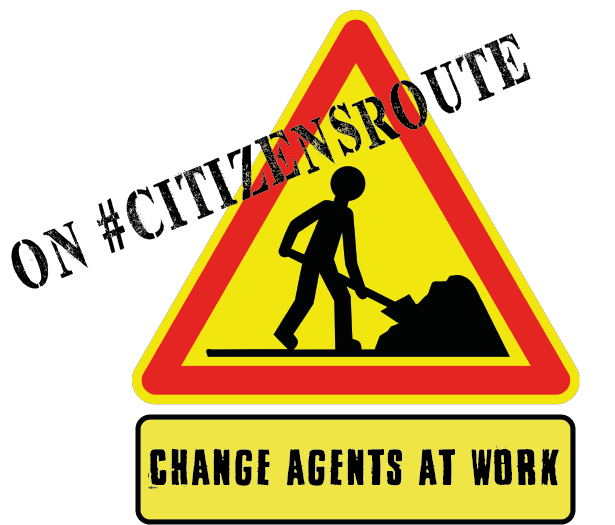 #CitizensRoute is about a two-year citizen process to turn audible and contribute to grow the trans-European political debate/offer/ideas/figures/movements we need in the next European election for democracy to prevail. Don’t be shy, visit our website. Finance: crowdfunding, European subventions, partnerships… Serve Europe and other Europeans by helping us finding funds to achieve our goals! Youtube channel: you like to create videos, you are a youtuber, blogger, a social media addic, or a journalist? Participate to the launching of the #CR-Youtube channel! Lobbying: setting up lobbying strategies towards Brussels, Strasbourg and the 27 EU capitals. Show them what AEGEEans truly stand for! We are a small team, very open-minded and dynamic! Heirs of Franck Biancheri, founder of AEGEE, and founding father of the ERASMUS programme, we have been fighting for the democratisation of Europe for 30 years now! Oh come on, you will work from your home, is there anything better than that? You can work in your pyjamas! IT IS NOW OR NEVER, DON’T MISS IT! Now that you are convinced, please send us an e-mail with a motivation letter @ victoire@eucitizenprocess.net and if you are not convinced but still you want to learn a little bit more about the project, same old same, it will be our pleasure to inform you.